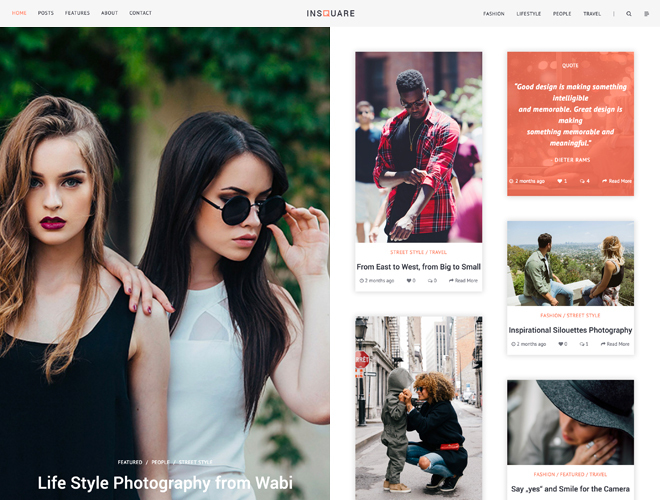 Shutterbird is a state-of-the-art photography WordPress theme perfectly crafted to meet the needs of creatives and make their life better. 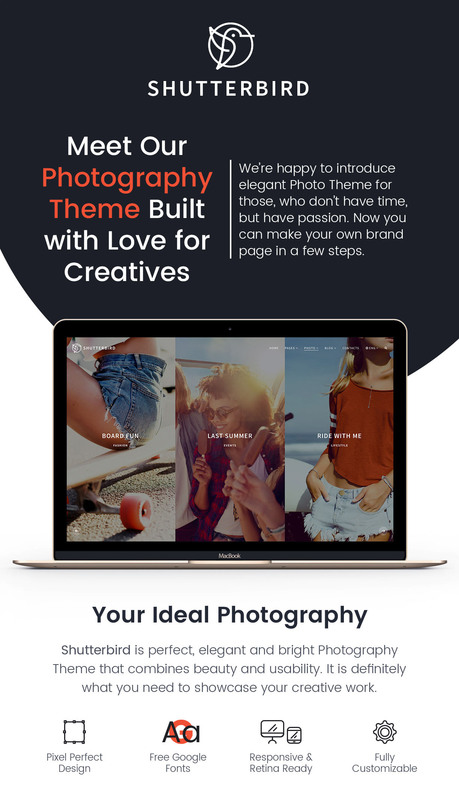 If you are a photographer, illustrator or artist, this theme is a perfect solution for creating a top-notch online portfolio with stunning photo-gallery which is sure to attract plenty of interested users and potential customers. 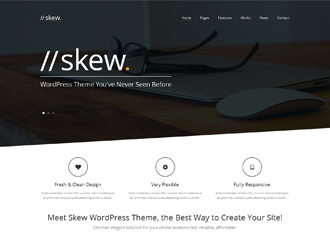 This is a fully responsive, highly-customizable and feature-rich readymade design consisting of a good number of fully functional page layouts, including a number of custom shortcodes, amazing typography, and much more. 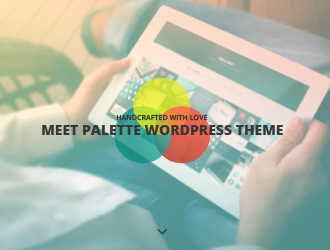 Choose the theme to create a professional multilingual website for your promotional needs. Beautiful typography of the theme allows you define the look of your headings, paragraphs, html styles, blackquotes, dropcaps, and other kinds of textual content. A number of custom shortcodes are available to help you build your pages by adding icon boxes, tabs, dividers, counters, progress bars, testimonial sections, and so on. It’s easy to engage your clients with an interesting blog, therewith the blog page layouts are available. You can choose the appearance of your blog and run it either as a Fullwidth one or select a page either with Left or Right sidebar. Just express your thoughts either in Standard, Image, Video, Link or Quote Posts. You can also use the theme to create a multilingual website and translate it both into English, Russian, Spanish and French languages. Do you want to change it for the entire website or on specific pages? Yes, that’s how our demo content import works. You get the exact copy of our demo page. The only difference is that we do not provide the source images instead you will get image placeholders. in the package ($ 54) includes a plug-in for the gallery and as a demonstration? For example, a round slider? You will get the same copy you see on our demo page.